On April 3, pollster Scott Rasmussen released the results of a poll of registered voters he conducted with the polling firm HarrisX, focusing on the latest trend in state pro-life legislation. When simply asked about banning abortion “at any point after a fetal heartbeat has been detected,” a combined 55% said they would either “somewhat” or “strongly” oppose the ban. 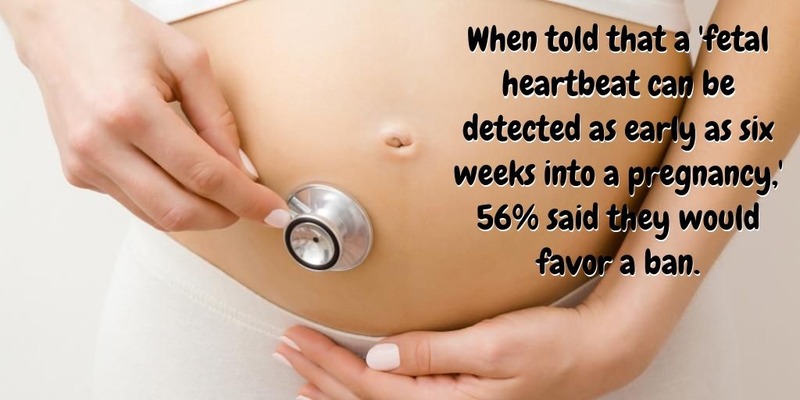 But when the question is prefaced with the definitive statement that a “fetal heartbeat can be detected as early as six weeks into a pregnancy,” 56% of respondents said they would favor the ban.